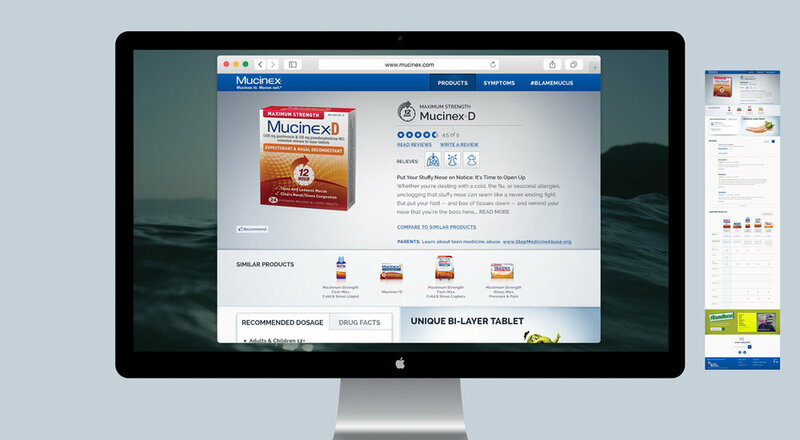 ACKS was art director, designer, and oversaw development of Reckitt Benkiser's new Mucinex® responsive website and campaign development. This included ui, typography selection, creation of icons and new brand elements/textures as well as retouching older brand assets. The look and feel was then implemented in all of their social media platforms and in banner ads.